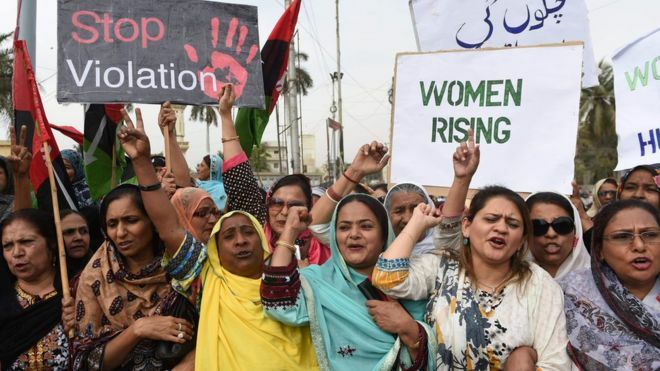 After a brief silence, authorities in Pakistan have confirmed a teenaged Italian girl of Pakistani origin has been rescued from her parents and other members of her family who forced her to abort her child. This is just the latest of a series of incidents of this sort in a country where women and girls continue to be horrified in the name of honour. The Punjab Commission on the Status of Women (PCSW), a government body in the country’s biggest Punjab province, has stated that upon coordination with the Italian Embassy, it together with the police team located the girl’s address and recovered her, after which she was transported to a secure location. The victim Farah, a resident of Verona in Italy, was lured by her parents to visit Pakistan to attend a wedding in January this year. As per the details, it was no one else but her family who took her to a private clinic for abortion and allegedly tied her up for 8 hours. Once she had the opportunity, Farah sent a WhatsApp message to her fiancé and a classmate, who informed the police in Italy. The police then informed Pakistan’s foreign ministry about the incident. Just couple of weeks ago, the autopsy report of Sana Cheema – another Italian national of Pakistani origin –validated fears about suspect honour killing in the conservative country of some 200 million inhabitants, according to the police in the country’s biggest Punjab province, the hometown of Sana. The young girl was strangled to death. The main suspects, the brother and father of the victim, are under police custody for further investigation. The country’s reputed Human Rights Commission of Pakistan documents hundreds of such killings in the country on a yearly basis, but the rise in cases involving foreign citizens of Pakistani origin are of equal concern, which underlines the infiltration of the matter beyond the borders of Pakistan. To prove responsibility and character, the country’s diplomatic missions abroad must step forward to take the matter of integration head on, and prepare the young as well as the older generations of expatriates for the cultural values of the host countries as well as preserving their own without having to opt for ultimate repression and brutality in the name of honour when faced with difficult realities. Brexit's champions have sounded off again and again about the importance of democracy, while subverting it at the same time. Surprisingly, Detroit became a source of inspiration, proving that development can be both profitable and fair, making urban life more equitable.